Save the crabs! 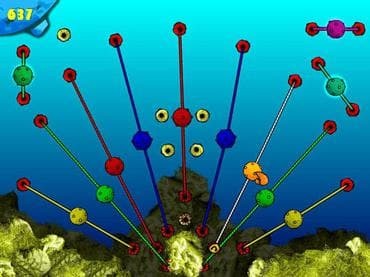 The main purpose of the game is to collide deep-water one-color mines by changing their location on the map. Malicious illegal hunters have put mines in the crabs' place of living. Annihilate the mines sooner than the crabs come by pushing mines against each other. Relocate the ropes which are tied to the mines to carry them on the screen in this exclusive puzzle game! Download free full vesion game today and come to save these delightful crabs now! Free Game Features: - Extremely captivating gameplay; - Wide variety with 4 different worlds and each of them contains 30 levels; - Bewitching music. If you have questions about Crab Effect game, please contact us using this form.